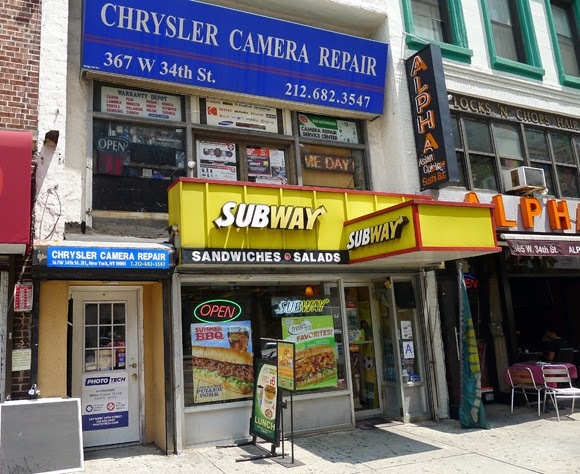 Once on 34th Street across from B&H but recently relocated just north on 36th Street is New York City's only independent camera repair store, Phototech. This family business has been in operation for over 50 years, and, for the past ten years, has also owned 34th Street's Chrysler Camera Repair, below. Chrysler's old 34th Street location. 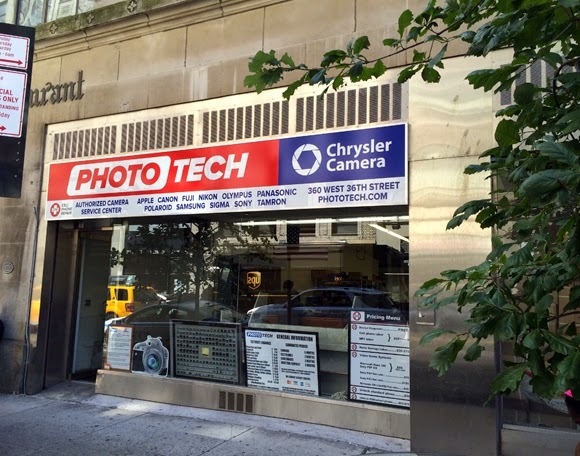 But this month Chrysler moved into Phototech's new digs on 36th to create one flagship location for all your camera repair needs. Phototech is the only authorized Sony repair center in the country, and is also a center for Nikon, Canon, Sony, Fuji, and more. Basically, almost everyone sends cameras to Phototech to fix. 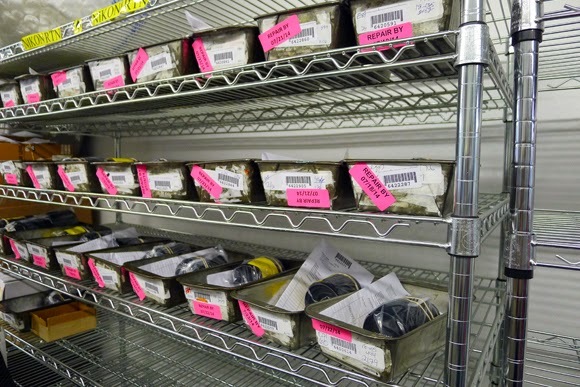 More fun facts: Phototech's warranty is the longest in the business, as full repairs come with a one-year warranty. Phototech also gives student, NYPD, FDNY, and paramedic discounts. 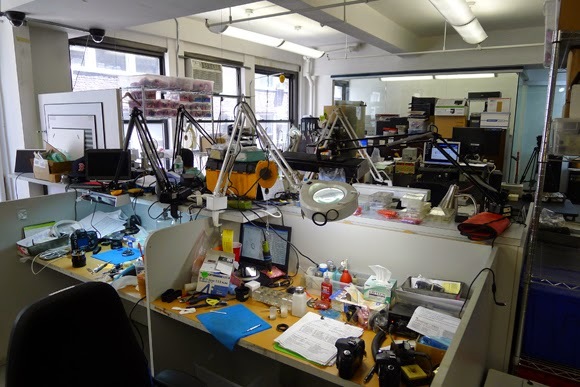 Behind the scenes in one of Phototech's repair rooms. But even if you're not a camera person, Phototech can help. They repair cracked phone and tablet screens, including iPhone, Blackberry, and Android, and can fix most overseas phones, sometimes even on the same day (turnaround time is generally 24-48 hours). All of the former is priced between $65-$200 ($65 - $115 for glass only, $200 for LCD repair). Clearly, this is your place to repair and maintain your cameras and devices. Phototech works with amateurs and professionals alike, and excels in friendly and efficient customer service. All this so close to 34th Street and Penn Station: convenient, right?! LUSH Cosmetics: Back in Herald Square!